As vacation time approaches, the normal thing to do is to plan the vacation budget. Ever since Lotus 1-2-3 bit the dust, Microsoft Excel is the de-facto program you’ll probably use. But, similar to Photoshop, Excel is one of those programs where you probably only use 10% of its computing capabilities. 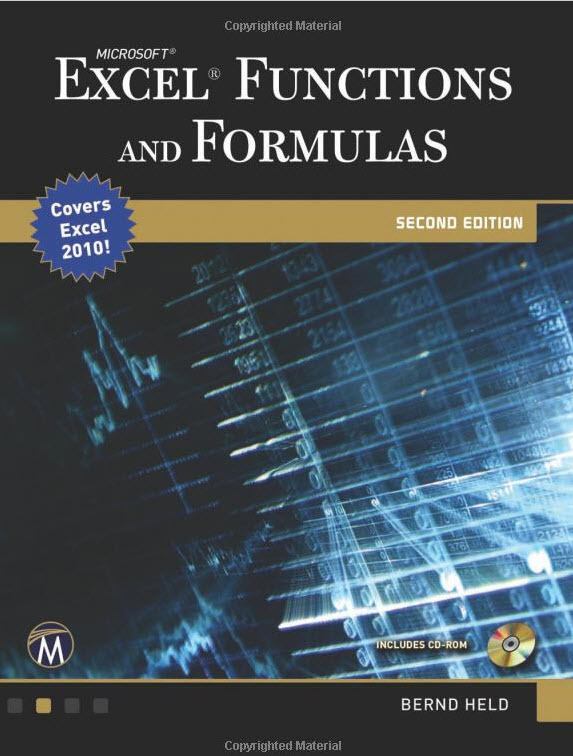 Microsoft Excel Functions and Formulas was written for those of you who know the basics, but have never scratched the surface of what else could be done. In a very direct manner, it gives hundreds of scenarios and how to craft an Excel formula to solve it. The book also comes with a CD-ROM. Each chapter in the book appears on the CD so you can use the calculations without having to rekey them all yourselves. My only regret was that there were no examples given or even touched on concerning pivot tables. 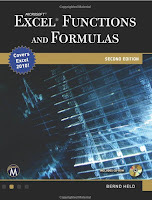 Microsoft Excel Functions and Formulas is one of those books you can pick up and become productive with immediately. No need to read the entire book, but you can refer to a problem and learn its solution right away.